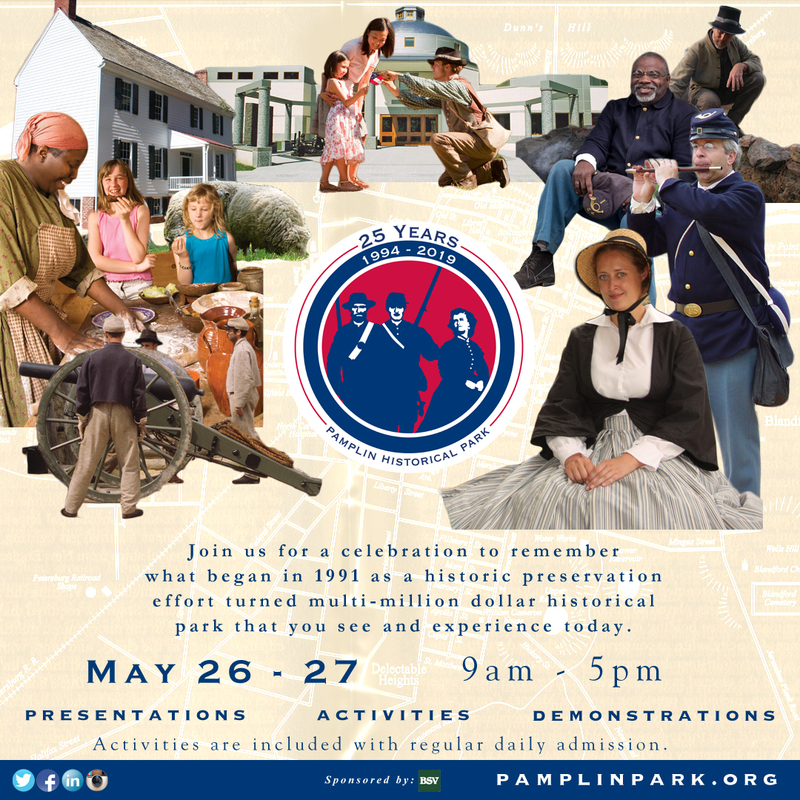 Join us for a celebration to remember what began in 1991 as a historic preservation effort, which resulted in a phone call and the multi-million dollar Pamplin Historical Park that you see and experience today. Activities will be taking place each day. Sunday begins with the opening of the new 25th Anniversary Exhibit featuring artifacts not previously seen by the public. Families will enjoy children’s book readings, a period baseball game, a period dance school, scavenger hunt and crafts. A special time capsule dedication will take place to leave a lasting legacy of the Park to be opened in fifty years. Monday will start with a 25th Anniversary Ceremony at The National Museum of the Civil War Soldier and then transition into a Memorial Day Commemoration to include a wreath laying, honor guard presentation, artillery firing and the playing of Taps. Other demonstrations will take place throughout the day. Activities are included with regular daily admission with the exception of the craft activity where separate fees apply .